The Amateur Radio Experimenters Group would like to invite all amateurs interested in HF digital voice communications to join us on the weekend of September 12th and 13th in a FreeDV Codec2 digital HF voice QSO Party! AREG in conjunction with David VK5DGR, one of the co-creators of FreeDV, will be activating a FreeDV HF station across the weekend under the Wireless Institute of Australia (WIA) special event call-sign VK100ANZAC. The aim is to encourage as many amateurs as possible to “come and try” this new digital HF mode, joining us and as many other FreeDV operators as possible in making contacts via digital HF voice around Australia and across the world. Saturday evening September 12th from 1130UTC (9pm Australian Central Standard Time (ACST)) beaming short path North America on 20m (west coast). 0430-0730 UTC (2-5pm ACST) will focus signals towards Europe Long Path as well as VK on 20m. During the middle of the day on Sunday we may activate on 15m as well targeting Asia/Japan/Northern VK. Keep watching the AREG blog for details. So, what is FreeDV you might ask? 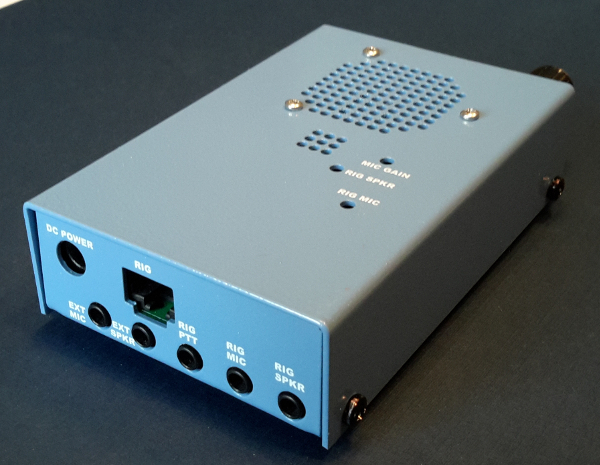 It is a new digital voice mode developed by an international group of amateurs, led by David Rowe VK5DGR. David was recently awarded the Ron Wilkinson Achievement Award for his work on Codec2 and FreeDV by the WIA. FreeDV operates at very low bitrates and narrow bandwidths using an open source digital voice compression algorithm (Codec2) developed by David. 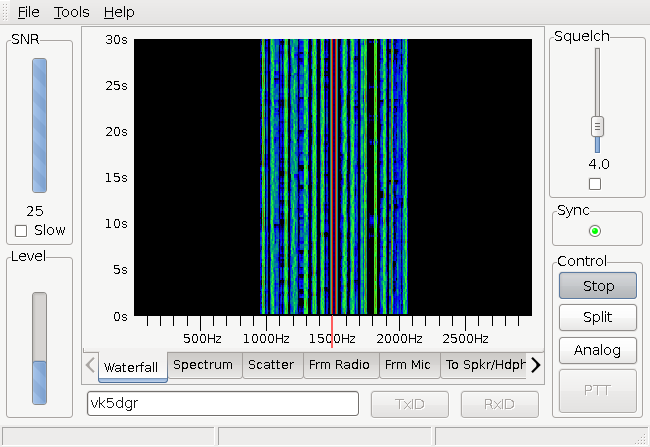 As such, it is ideal for use on HF. What’s more, being completely open source, it can be reproduced and adapted/extended by anyone who is prepared to follow the open source philosophy, unlike some other systems which have proprietary elements that limit experimentation. Why is AREG Sponsoring this? Why may you ask are we doing this? Like all new modes in their early days, like the early SSB developments in the 1960’s, finding like minded stations to make contact with can prove a little difficult. The aim behind this global event is to gather multiple FreeDV stations on air so that beginners in the mode can find others to make contact with, as well as providing support and help via SSB for those struggling to get the new technology to work. It is the perfect opportunity for you to dust off your radio-PC interfaces or finally wire-up your SM1000 digital voice adaptor and give this unique mode a try! How do you get involved? There are several ways to get on the air with FreeDV. The most common is to download and install the FreeDV GUI application on your PC, and use a PC to HF radio interface, and a USB headset. More recently the stand alone SM1000 digital voice adaptor has become available which eliminates the need for a PC. Details of how to set up your station to run FreeDV can be found from the FreeDV project’s website http://freedv.org/ . 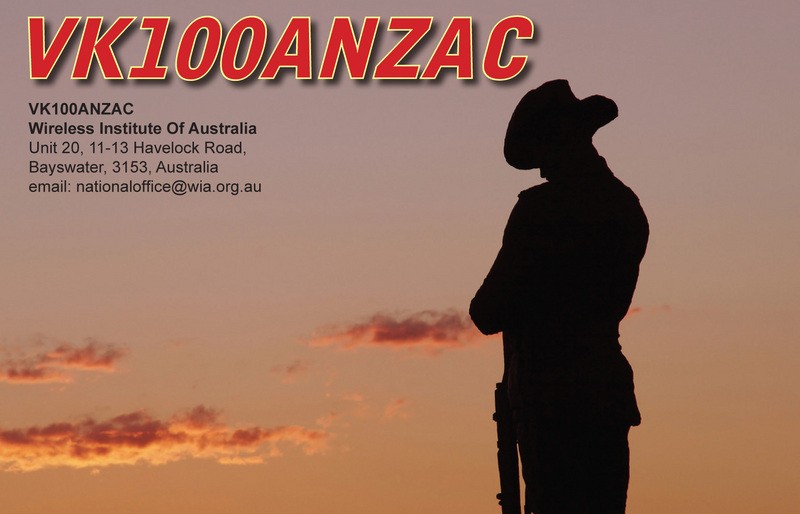 The idea behind operating the FreeDV QSO party net control station using the special event callsign VK100ANZAC was to provide a little extra incentive for amateurs to come and try this new HF digital mode. It will certainly provide a unique QSO opportunity! The weekend in question is also one of significance for the ANZAC story as it commemorates the 26th Infantry Battalion’s arrival at Gallipoli and their subsequent deployment to Taylor’s Hollow on September 12, 1915. Part of the event will commemorate those who served and the sacrifice they made. We look forward to making contact with you over the weekend! If you want more information, keep watching the AREG website for regular updates and blogs of the weekend’s events as well as for information on operating FreeDV at www.areg.org.au. All contacts made will be recorded in ClubLog. Qrz.com will also be updated with the latest QSO information. We will also QSL any cards received either via the Bureau or via EQSL. SWLs will be eligible for a special card if they can confirm a full two way QSO. Plans are also being worked on for a test and tune event the weekend beforehand. Keep watching the AREG website for details. See you on the air! This entry was posted in Club Special Events, HF Digital Voice, Special Event Stations by VK5GR. Bookmark the permalink.